Mainz and Hoffenheim go in search of their first league wins of the season on Matchday 2. 1. 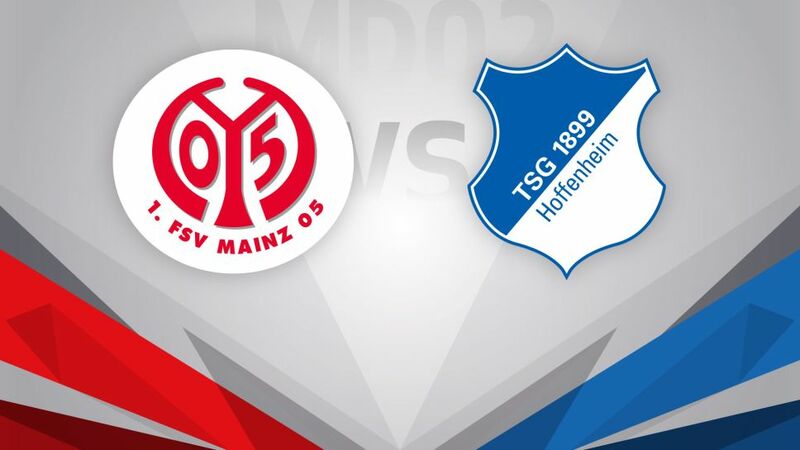 FSV Mainz 05 host TSG 1899 Hoffenheim in a fixture traditionally paved with goals on Sunday (kick-off: 17:30CEST/15:30GMT). Take charge of the stars when you play the Official Fantasy Bundesliga - sign up now! An average of three goals per game have been scored in six of the seven matches between the two clubs on Mainz soil, and both were on target on the opening weekend. The 05ers put in a valiant display in a 2-1 defeat away to 2015/16 Bundesliga runners-up Borussia Dortmund, while Hoffenheim were held to a 2-2 home draw by top-tier newcomers RB Leipzig, despite twice taking the lead.